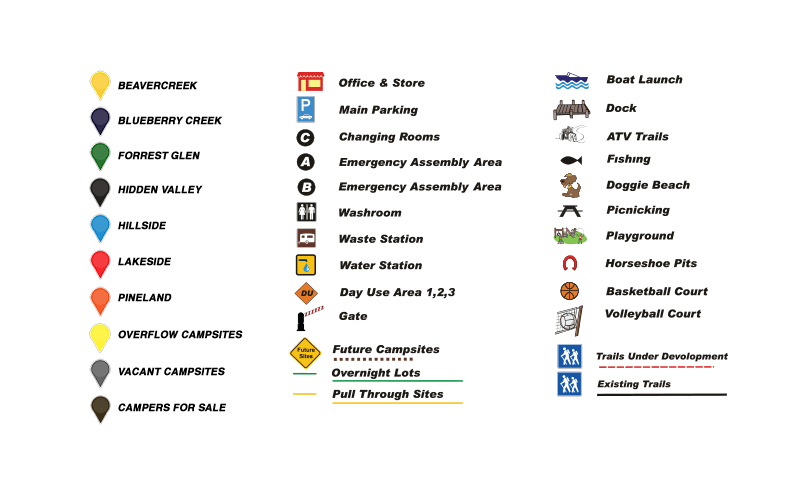 We decided that it was important to add an interactive concept map of the campground to the website, in order to get new visitors acquainted with what exactly Big Water Campgrounds has to offer in terms of campsites, facilities and adventure. Use the legend to find exactly what you are looking for, including campsite lots that are currently available. Use the following legend to guide you through our interactive map. Use the filter options at the top right of the map, to find exactly what you are looking for.